When out of balance, illness results. Paracelsus is attributed to having said: “Man is a microcosm, or a little world, because he is an extract from all the stars and planets of the whole firmament, from the earth and the elements; and so he is their quintessence.” Discovering the fascinating capabilities of our bodies solidifies our integral understanding of life’s perpetual cycle. This, in turn, supports our own ability to heal. Healthcare is a balance of what has been distinguished as conventional and alternative practices, effective when used in concert. Also known as “functional medicine”, this philosophy is an approach designed to enhance outcomes. If the body is treated holistically, then a broad spectrum of modalities should be taken into consideration. 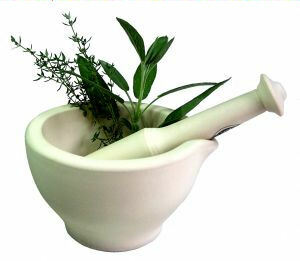 When allopathic medicine is initially administered, it renders alternative approaches impotent by the medical model. Take for example, the action of surgical and pharmaceutical procedures. These so-called “alternatives” should be chosen as the primary approach because it elevates the body’s ability to heal itself. The exception is in a true medical emergency. I am truly amazed how versatile herbs are. Not only the plant themselves, but the many forms in which they may be employed. One herb can serve multiple purposes. This utilitarian concept illustrates the convenience of over-the-counter (OTC) meds and prescriptions that are manufactured to treat one symptom, or symptoms; period. We have become programmed to being highly specialized in our healthcare at the expense of our own health. Focusing on ailments, we continue to treat the symptoms rather than addressing the source. Choosing to seek several different doctors for each set of symptoms and diagnoses whilst losing sight of the broad spectrum of holistic practices. Herbal adaptogens contain multiple constituents working together to produce a combined effect surpassing their individual potential. This botanical synergism is the science of “nutrigenomics” – highly active substances from food and natural resources that serve as potent dietary signaling molecules, effecting genetic expression. Taking a synthesized supplement is not equivalent to the multiple benefits from eating fresh, whole food. Modes of preparation and ingestion are also important. To illustrate, hepatotoxicity occurs with concentrated pyrrolizidine alkaloids present in comfrey root. Aerial parts of this plant contain less and are absorbed transdermally. Oral consumption of comfrey is ill advised as a direct route for ingestion. Allantoin and rosmarinic acid are anti-inflammatory constituents primarily present in leaves and flowers, therefore; of therapeutic value. Plants impart wisdom to those of us willing to learn. They offer a unique pathway to healing and healthcare. Herbal preparations range from household products and cosmetics to prescriptives that maintain a chemical balance throughout for plants, animals and people alike. The most outstanding gift of plants is that they strengthen our relationship with life and the natural world supporting the “permaculture” philosophy of how our biological beings relate synergistically to our physical environment to work in harmony. Herbology is considered an alternative modality, though it offers an elegant biochemical for healing. In its most basic element, a nutritive protocol, a philosophy and a lifestyle practice, Herbology is naturally the “art of healing”. As a Certified Herbalist, I plant my own healing garden I harvest to prepare herbal tinctures, blends, remedies and food to maintain vitality. A lifelong practice, herbalism is a craft carefully cultivated from intuition, science and strong belief. These are the elements to necessitate transformation. These are the ingredients connecting us with our roots that formulate a balanced lifestyle. Here’s what we know… Psychological resistance or failure to accept a task or idea can contribute to physiological burnout. How we feel emotionally manifests what we feel physiologically. Prolonged biological stress reduces energy overtaxing adrenals while impairing blood pressure & hormone regulation, compromising immune function causing associated disorders involving chronic pain. Let’s take a closer look… Pathophysiology examines the biosynthesis between the sympathetic-adrenergic-medullary (SAM) axis and the hypothalamic-pituitary-adrenal (HPA) axis. ‘Applied Nutritional Science reports’ Dr. Richard L. Shames’ findings: Over time, hypercortisolemia initiates catabolism leaving us vulnerable to inflammation, asthma, allergies and autoimmune related diseases. Adaptogenic herbal formulas mitigate negative physical fatigue brought on by prolonged stress. Indigenous herbs across Asia have been known for centuries to modulate these systems. Holy basil, Panax ginseng and the fungus cordyceps reduce anxiety inducing hormones while achieving a restorative level of function. Ashwagandha, bacopa, and rhodiola rosea increase energy and promote endurance, eliminating fatigue. Combined with other stress reduction methods, these adaptogenic herbs normalize the physiology by balancing various immunomodulatory activities. Foods that can restore…Iodine rich algaes like bladderwrack, sea kelp and spirulina in concert with prohormones vitamins A & D, support thyroid synthesis. Foods high in selenium and zinc minerals further “preserve thyroid integrity.” Coconut oil, wild salmon and pasture raised eggs supplement the body with necessary omega 3 fats with generous sprinklings of Celtic sea salt providing the necessary nutrients to offset “Stress-Induced Dysfunction” we refer to as BURNOUT.